Today is the day, Flash fans! 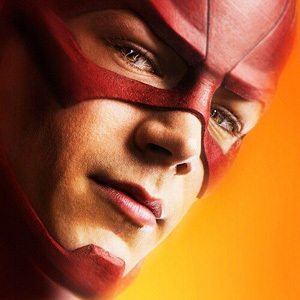 Season 1 of CW’s wildly popular freshman superhero show, The Flash, ends tonight with a finale that’s sure to please, tease and leave us begging for more. Likely, we’ll end up counting the days until the Season 2 premier. Yesterday, Grant Gustin, the actor who plays the titular character, took to Facebook to present the trailer for the finale and gush a bit about the fans and the team that works so hard to make the show what it is. The actor seemed to lose himself a little as he got carried away expressing his feelings. But you won’t hear me complaining. I mean, I liked the boy before. Now, I got some serious love for him. How could I not? That face, plus the ability to be vulnerable in front of the whole world? Yes, please! Check out some of what the actor had to say below. I also feel very lucky to get to work with the cast & crew every single day on this show. We have spent some lonnnggggg days & nights together… have so much respect for every person I got to work with on this first season. It was no joke. I especially love our cast. Jesse, Tom, Candice, Danielle, Los & Pretty Ricky. The “we moved to Canada to make this tv show” group. I love you all. You inspire me every day and getting to work with you is a dream. Our show doesn’t accidentally rock. It’s because you all bust your butts because you want to and it’s fun. I can’t wait to start season 2 with you. And that’s not even all of it! In the end, he apologizes for his rambling and poor grammar and ends with this: “Point is…thank you & watch the season finale please.” I know I’ll be watching. Will you? See the extended preview for tonight’s finale below. WARNING: There might be a few soft spoilers in there. To read Gustin’s full spiel, head to his Facebook page here.